What is a Packable Daypack? A packable daypack is an ultralight backpack that can fit in your luggage (or even your pocket). They usually compress into a small pouch. Why Travel with a Packable Backpack? Sometimes I empty out my oversized backpack to use as a daypack on long hikes, but often we want something smaller for sightseeing. 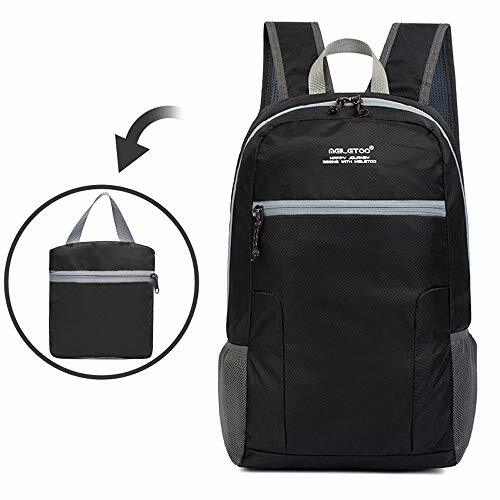 A light, foldable backpack is ideal as it fits inside our luggage on travel days. A collapsible daypack is also useful when you don't need a bag for the whole day. You could pack a folding backpack inside your handbag or pocket to use when needed-for shopping. Warm Tips: 1.Don't wash with bleach detergent. 2.Clean with wet cloth if necessary. 3.Dry naturally. Money Back Guarantee: Our Packable Backpack will have ONE YEAR WARRANTY. If you are not satisfied while using it, you can contact us for a Refund and a New Replacement as you like. GET IT WITH CONFIDENCE! YOUR PURCHASE IS RISK-FREE! ADD TO CART TODAY!